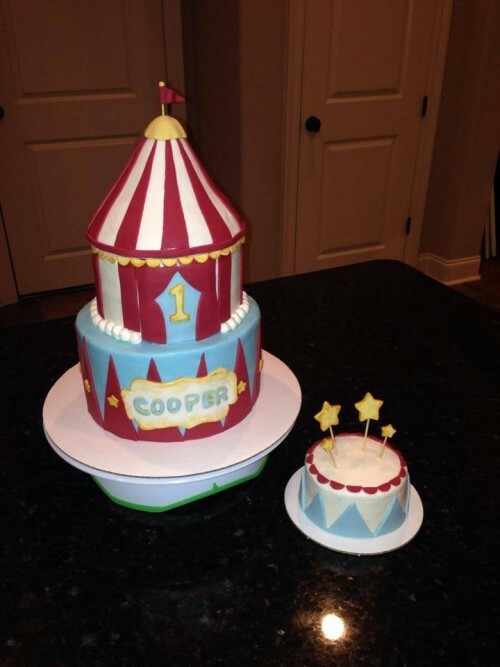 Vintage Circus Themed 1st Birthday Cake. The “tent” topper is made of Rice Krispie Treats, coated with white chocolate and covered in fondant. The antique effect is hand-painted food coloring onto fondant. « Take Me Out to the Ballgame!